Luxury Vinyl Tile (LVT) is the fastest growing segment in the flooring industry. A lot of Luxury Vinyl Tile (LVT) looks like wood so much so that you really have to look at it closely to determine if it is LVT or wood. Ease of maintenance and very durable. Two main types of LVT: Glue down and float, which is tongue and groove that clicks together. The newest LVT product has a water proof core. Cost is $1.50 to $4.00 a foot based on the wear layers and design. The thicker the product the more the cost as it is heavier duty. It is great for families with kids and pets. The Stainmaster nylon yarn used to make this carpet is the strongest yarn out there. This is a very versatile carpet that comes in all types of colors. Pet Protect carpeting does not stain when it has items spilled on it or when your pet goes potty on it. Stainmaster carpets are very durable and will last for a very long time. 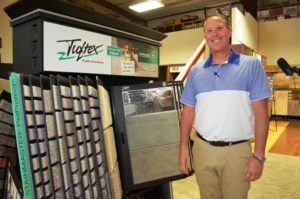 WHATEVER YOUR FLOORING NEEDS WE HAVE YOU COVERED! Buying a home? You may want to replace carpeting and other flooring before you move in. move in. It typically takes about 2 weeks to order the carpet if it is not in stock. 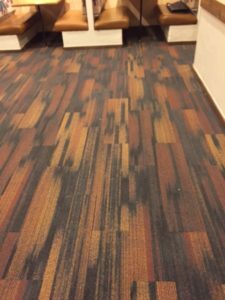 We are usually 2 weeks out on our installs so It is best to give yourself 2 to 3 weeks before we get in the home and several more days for the install of you are carpeting most of the home. When can you get into the home so that measurements can be made for the carpeting and other flooring. 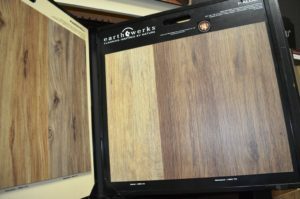 We will bring carpet samples to the house for you to see how the different types of carpet look with the paint, hardwoods, tile, and cabinets in the new home. This way we can order the carpet and you will know the costs involved. Do you have children and or pets? This will affect the type of carpet you will want to have installed. Coventry can typically do all the measurements in under an hour including showing the carpet samples to you in each room. Most people prefer to carpet prior to moving in so they do not have to move furniture twice. 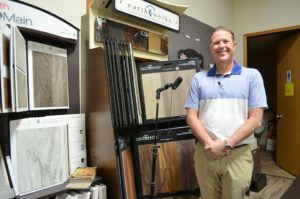 If you are thinking about tile or other types of flooring we suggest meeting us at our showroom to see the samples we have as our mobile showroom is just for carpeting. We sell all other flooring as cash and carry. We do not install the other types of flooring. We have several contractors we can recommend but currently most are booked out a month or so. If there is a lot of tile it could take them over a week to do the install so you will need to factor this in if you want them to finish the job before you move in. If you hire someone to do the other flooring they will typically pick it up for you with a truck.